Paul Hallas is a working magician. He's spent several decades as a professional entertainer, so that means he's got his feet on the ground, and he understands the territory that many of us walk as part of our daily grind. And he loves card magic. 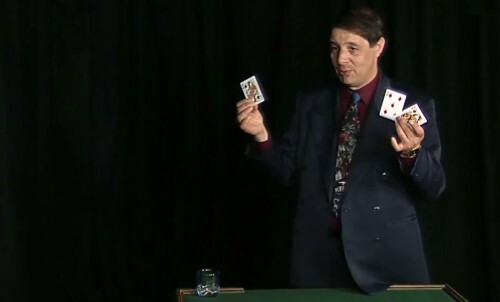 In his two DVD set Clever Card Magic, we get the opportunity to sit at the feet of Paul Hallas as he walks us through a number of different card tricks. I've enjoyed many of Paul's novelty packet tricks, so it didn't take much arm twisting to get me interested in his other work. So let's tell you what you get and what this includes. The Clever Card Magic DVD set is actually an older product, and was published just over a decade ago, back in 2007. Even so, everything has been professionally filmed, with multiple camera angles and good cinematography, so it's not at all obvious that this has been around for a few years already. Certainly the quality of the filming is very impressive, and easily beats that of many more recent videos I've seen. And the good news is that because it's been out for a while, copies can be sourced online relatively easily at a fairly low price. The difficulty level of the magic is intermediate, so some familiarity with basic sleights is important, and this isn't suited for complete beginners. But Paul doesn't consider himself super technical, so these tricks are very much in the realm of the capabilities of the working magician, and aren't certainly not exercises in complexity or knucklebusting moves. By his own admission, he does have somewhat of a slow style, but that's just something you have to get used to, and certainly isn't something you need to take over when performing these tricks for yourself. There's some good material that can be found here, with 11 different tricks in total, all with card magic. Some of my favourites include "One For Rovi", "43", "Kings & Witches", and "Psychic Poker Too". Paul does have his own style, and the fact that it takes him well over two hours to get through these 11 tricks gives you an indication of the pacing. But he is methodical and does cover everything well. The material in the Bonus Items is also very useful, especially if you're looking for some extra tuition with common moves and sleights like the Elmsley Count. 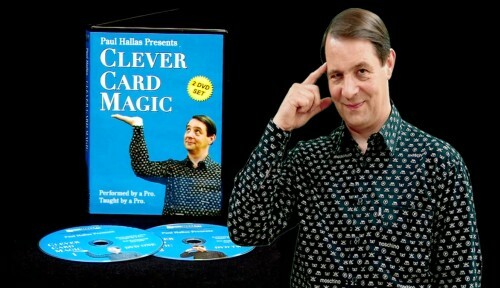 In many respects this DVD set is typical Paul Hallas: relaxed-paced magic that is practical and commercial, entertaining, relatively easy to perform, and ideal for the working magician. If you're an intermediate level magician looking for some new material, and are able to pick this up for a relatively cheap price, considering the quality of the filming and the card magic included, it's very good value. Where to get it? Clever Card Magic originally retailed for around $30, but can sometimes be found for bargain prices on the internet. The Magic Warehouse currently has it on sale for a heavily discounted price of $7.99 [link].